Where Can You Buy Window Sills for the Best Price? As a building contractor, it’s in the best interest of your business to buy low and sell high. Buying low means getting your building materials at the best price possible. Now, there’s a fine line between getting a really good price on goods and getting cheap products. You don’t want the latter, especially when you’re building residential homes, commercial properties, or industrial dwellings. This is the industry where you absolutely don’t want to get the generic stuff! When you’re constructing anything, it needs to be a sound structural build. Depending on the region you’re in, you’ll have to adhere to building codes. For instance, if your company has secured a contract in California, it’s your responsibility to build according to that state’s laws. If you’ve secured a contract in the South Florida area, then you’ll not only have to adhere to the building codes there, you will also need to invest in a different kind of building material to stand against hurricanes and strong winds. So while you need to buy quality material for your building projects, you still have the option of buying the standard material and be well within the coding requirements. Just because you can, doesn’t really mean you should. If you have the opportunity to upgrade your builds with quality products at a discount price, chances are you’ll probably take advantage, right? The thing is, many builders aren’t even aware that such opportunities exist. For instance, let’s just say that you want to install marble window sills into your current build. You already have a marble floor distributor that you can call, so quite naturally, it’s convenient to place the order with them because you already have a working relationship with the supplier. However, that might not be the case. You see, even wholesale distributors can only afford to cut their prices so low. This is because it costs to obtain inventory. Just like you need to buy your marble window sills at the lowest price possible so that you can sell your dwelling at the highest price, so it is with marble tile distributors. You have to consider all of your options when looking for the best price on marble window sills. While the most obvious choice is to place an order with a marble flooring distributor, the best thing you can do for your construction business is to find a distributor that specializes in selling window sills only. When you find a business that specifically caters to a certain niche, it means that most likely, they’re able to obtain their product for a lesser cost. This means that they can afford to drop the retail cost a little lower than their competitors. Stonexchange, a natural stone window sill distributor located in Miami, Florida, has direct access to it’s own quarry in Turkey as well as 10 other countries. By offering marble window sills only, we are able to ship more product from overseas at a cost that’s affordable to us and your budget. Also at Stonexchange, we sell our marble window sills at wholesale prices that rival most other natural stone distributors. With Stonexchange, the more you purchase, the less expensive the cost will be for you. Furthermore, we only carry the most sought after marble window sills. Marble window sills come in a variety of different color variations and patterns. Some are not always well received by buyers. As a building contractor, you want to stock the kind of marble window sills that will appeal to a wide range of buyers. You have to remember that you’re not building for yourself. You’re building for someone else. And while everyone’s tastes varies, it’s still up to you to choose the type of marble window sill that’s not going make buyers run out of the building in disgust or horror. What Kind of Marble Window Sills Builders Should Stock? Note: Stonexchange also offers natural stone window sills in Travertine. You can view our full online inventory of natural stone window sills here. While you can easily go to your local home improvement store to pick up a generous supply of marble window sills, it’s smart to keep in mind that you’ll also pay more, because it’s likely that your home improvement store purchased their supply of marble window sills from a wholesale distributor like us. So in order for them to make their money back, they have to increase the price on their product. Why would you want to do that to your budget? You can cut the 3rd party costs by going directly to the distributor yourself. With Stonexchange, you’ll reduce costs even further because we can afford to offer our quality natural stone window sills at a competitive price to you. 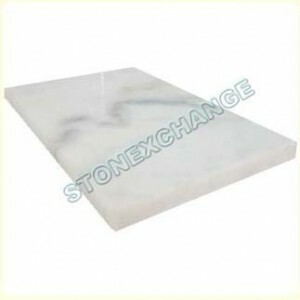 Stonexchange’s marble window sills are easy to ship. You won’t have to worry about over-paying for shipping cost because our products are stocked in a securable crate that can hold anywhere from 50 – 100 marble window sills. This is a small product that can offer you a great return on investment. The fact is, marble is a highly coveted building material and being able to stock marble window sills at a wholesale cost is only reflecting your original plan of buying low and selling high! Call Stonexchange today and speak with one of our representatives about getting the best discount on your marble window sills. Our number is 305-731-2400, or contact us online to place your order.